….or Fathers day as others like to call it!! excluding the santa dash which was just for fun, this was my first ever proper running competition, so I have to admit that I was a bit nervous! Training had been going to plan, my calf had been feeling better and I was pretty sure that sub an hour wasn’t an unreasonable expectation, but who knew really! Firstly the event ran by the guys at Total Buzz (and Martock Primary PTA) was well organised, with race, numbers, safety pins and all the needed bits and bobs all available at the start point by the Fire Station. The weather was hot and muggy, so was definetly going to make things a little more challenging, and the turnout was brilliant, with only a couple of ‘on the door’ enties left available and a total of 302 runners. After a quick Race Brief it all kicked of to schedule, the sheer volume of runners swept me up and I set of at a pretty fast pace – finishing the first 5km not far of a PB – which probably wasn’t the best race plan!! But nevermind keeping moving forward and battling the heat the final 5km dragged by a little bit slower. I’d made a bit of a mess with water as I’d missed my mouth at the 3.5km hydration point and expected some more at 5km.. but that was not to be the second water stop is on the way back at about 7.5kms so by then I was really struggling and needed te fluid. Anyway, once I’d got my act together I got the race finished – the final dog leg around the houses was a bit of a shitter, especially when you could see the finish line… organisers playing mind games with me!! 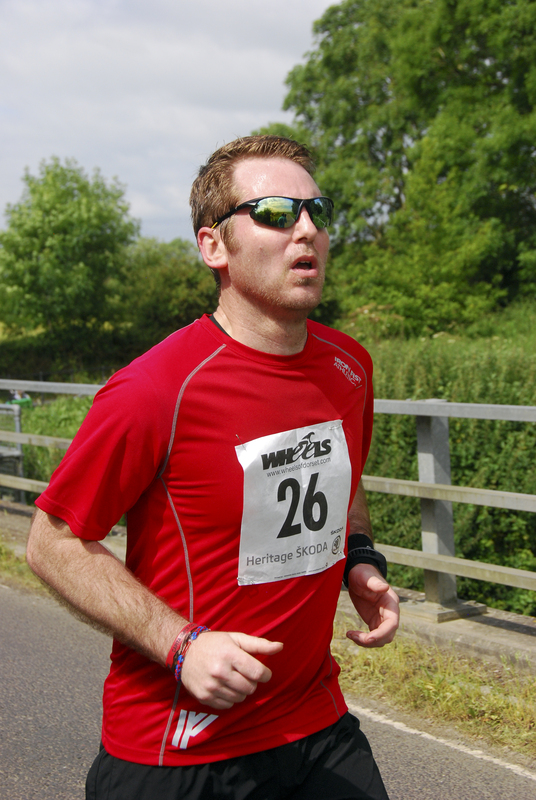 and finished in a new PB of 53:23 and 154th Place – so middle of the field. With a bottle of Cider (well it is Somerset) some flapjack as the momento (no medal unfortunatly!!) I headed back home feeling quite pleased with myself for a job done okay! Looking forward to next years! !